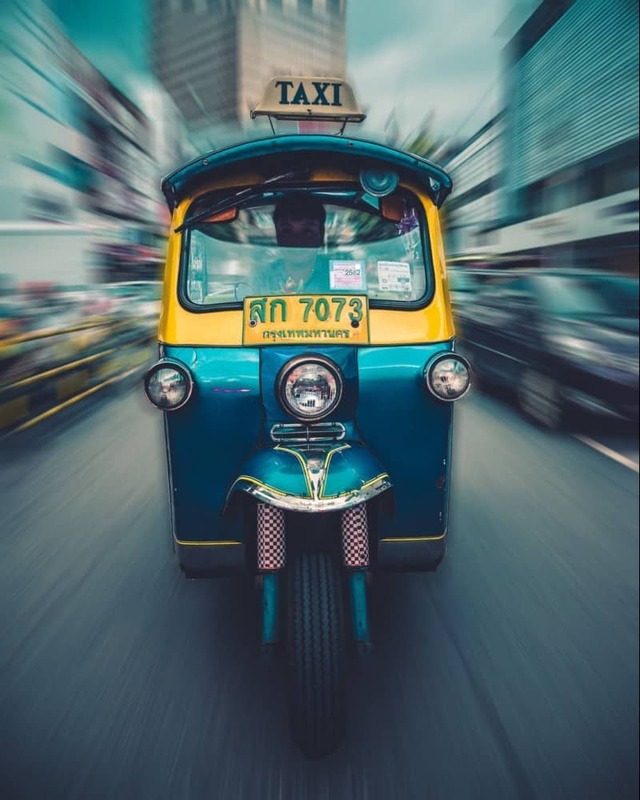 Thailand has become a hugely popular tourist destination thanks to its tropical climate, amazing beaches, great food, fascinating culture and stunning scenery. 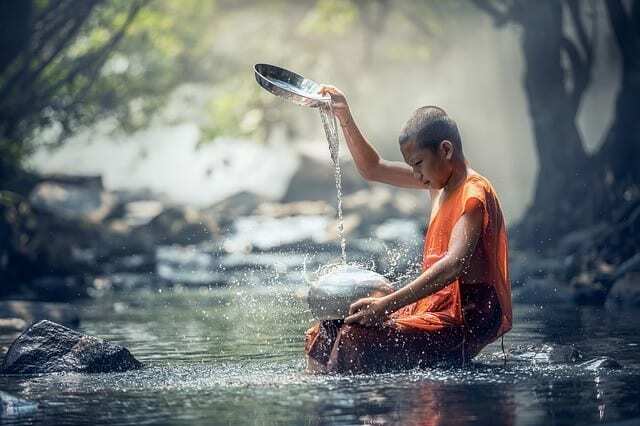 Thailand has it all, from thick green jungle to warm crystal blue waters and it welcomes visitors from all walks of life and from around the world. 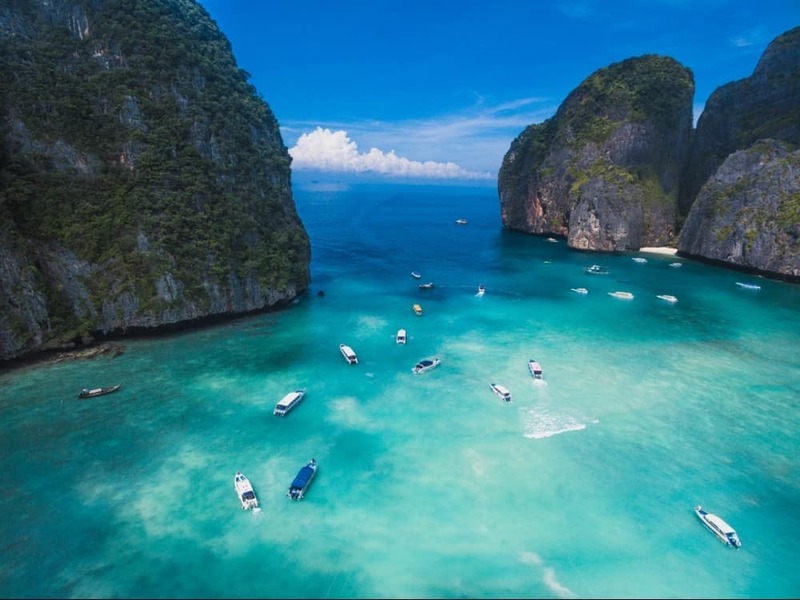 Famous for having some of the most glorious beaches in the world, Thailand is an obvious place to consider for a family holiday, vacation or for extended travel with a baby. We used our Shared Parental Leave (a combination of maternity/paternity leave that is now available to parents in the UK) to travel in Thailand and South East Asia with a baby and toddler for 3 months. We always knew that we wanted to use this time off work to do some long-term travelling, but we found it hard to decide where to go. We knew that we would be going in the first few months of the year and that we would be travelling with a 9-month-old baby and 3-year-old toddler. Given the time of year (Jan- May) and our desire to spend a good amount of time on the beach, Thailand was quite an obvious place to consider. (If it has been spring or early autumn we might have stayed closer to home and visited Sardinia, Italy). We had some reservations though, having both visited Thailand in the early 2000’s. I’d had some amazing experiences on my first visit and saw some wonderful places. But I also remembered being incapacitated with horrendous food poisoning, sleeping in hot dingy rooms that cost 50 cents a night, and spending endless hours in the back of a cramped minibus. Was this really the place to be taking our young daughters? We did a lot of research to try and find out how safe, easy and fun the trip was likely to be before deciding to go to Thailand (and Cambodia and Vietnam). 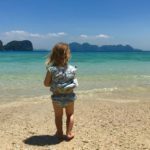 We couldn’t find all the information in one place so we have produced this guide to help you understand whether going to Thailand with a baby or toddler is right for your family. Before deciding on actual destinations and what we would do with our time in Thailand, we wanted to be sure that it would actually be a safe and enjoyable place to spend time as a family. 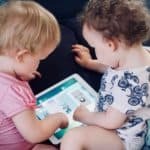 Is Thailand Safe for Babies and Toddlers? Top of our list of concerns was the health of our little ones. Going to new places where the healthcare is unknown, diseases are different and you don’t speak the language can be a little bit daunting but with the right preparation and planning it shouldn’t be too much of a concern in Thailand. Please be aware that we are not healthcare professionals and the information on this page is based upon our own research. If you are going to Thailand we recommend that you visit your doctor 2 months before you leave to ensure you have up to date information and have all the necessary immunisations. Not all vaccinations can be given to babies and young children so be sure to check with your doctor what is available to you and your family. Visit Fit for Travel for some great general health advice for travel. Does Thailand Have Good Healthcare? Thailand has excellent healthcare facilities but you do need to be mindful of where you are going and the distance to health care facilities. We spent a lot of our time on islands that had very limited facilities and any emergency would have required taking a speedboat to the mainland. You do absolutely need to ensure that you have adequate medical cover in your travel insurance. That will at least enable you to do whatever is necessary should you have any unwanted incidents. Healthcare in Thailand is provided by a combination of state-run, private and NGO services. All are good but the private care centres will be less busy and have the very best equipment and personnel. One of our first concerns when choosing a destination was to avoid malarial areas. Only the remote border regions of Thailand are a risk area these areas are easily avoided so this is not a concern when planning a trip to Thailand. Dengue fever was my biggest concern before and during our trip. It is a very serious disease and is endemic to all areas of Thailand. There is no vaccine and prevention relies upon the avoidance of being bitten. As it is spread by mosquitos that are active during the day it is hard to completely eliminate the risk of being bitten. Dengue Fever is far more common in urban areas and is almost always contracted during the rainy season. As we were avoiding the rainy season and largely staying away from urban areas the risk of contracting dengue fever was minimized. To reduce the chance of being bitten we took mosquito repellent that was suitable for young children, a travel cot that was fully enclosed in mosquito mesh, and 2 further mosquito nets for ourselves and our toddler. We were hyper-vigilant trying to spot the dangerous mosquitoes in the daytime but there will always be a few occasions that they get bitten. Is It Too Hot in Thailand? On a day to day level the heat was our biggest concern before we went. The temperatures, while we were in Thailand, were expected to be in the high 30s. 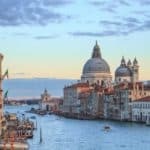 When you read this in advance it sounds like it could be unmanageable with a baby and it was one of the main reasons that we hesitated to book our trip. Yes, it is hot. But it was not a problem. At least not on the beach. We soon came to realise the importance of having a breeze and for this reason, we ended up staying at the beach far more than we originally had planned. With the sea breeze and the shade of a tree, it was quite comfortable to enjoy our time in Thailand. But as soon as we moved inland and tried to walk about with luggage or children in a baby carrier, it became more of a struggle. As a result, we did far fewer active pursuits than we had anticipated. I think what I am trying to say is that we ended up having several wonderful weeks lazing on the beach! Shade is a really important factor as the middle part of the day is uncomfortable without it. Check out our guide to the best beaches in Thailand for families for some of our top recommendations. Are There Creepy Crawlies in Thailand? Coming from the UK where the most dangerous creature you are likely to see it a gnat, we were a little concerned about spiders, jellyfish, scorpion etc. We did a bit of research and the majority of spiders are not dangerous, they can look a bit scary though! We had one really big one get into one of our hotel rooms. When I went to catch the spider it dropped all of its legs! An interesting defence mechanism! Can You Buy Everything You Need for a Baby in Thailand? Another concern was whether we would be able to find all the baby product that we needed. There are a lot of articles written which state that you can’t easily buy nappies (diapers). This was not our experience at all, they were easy to find in every 7Eleven that we went in and the cost was comparable to supermarket brands in the UK. You may want to consider taking re-usable nappies as they reduce waste and are more environmentally friendly. We also found that as it is hot and your baby wears fewer clothes it is much easier to wash their bottom with the outside taps, rather than using baby wipes. A reusable swim nappy will definitely come in handy. Please see our packing list for more tips on things to take. Maybe in less touristy areas, we would have had more trouble buying nappies but it was not an issue for us at all. The same applies to other baby essentials, the pharmacies were well stocked with anything that you think you might need. We did bring Calpol sachets from home and they were very handy but you don’t need to worry about not being able to find things in the shops, just plan ahead if you are heading to somewhere remote or one of the islands that doesn’t have many shops. While travelling with a young baby it can be reassuring to know that you have safe, healthy food on you at all times. With that in mind, we left home with a bag half full of baby food sachets. This wasn’t enough for our whole trip but was a decent supply to help us out when food wasn’t readily available or when we wanted something fast and cheap to eat. We did search around quite a lot to find somewhere where we could re-stock our supplies. We were able to find some local brand baby food sachets in Saladan, on Koh Lanta (go to the Lanta Mart supermarket they are half the price of some other places). The sachets seem to be quite widely available if you know where to look but your average small shops and 7Elevens do not have any baby food products so it is best to stock up when you see them. When it comes to restaurant food we were able to get all sorts of wonderful foods at reasonable prices. The girls liked eating rice, which was handy, but we also ate more fish and chips than we ever would in England and whilst the pizzas weren’t up to Italian standards, they were widely available. We were able to get great fresh fruit like dragonfruit, mangos, pineapple and watermelon. Eating out is fairly inexpensive. In tourist-oriented places, we often found that they had high chairs (usually the really good Ikea ones). 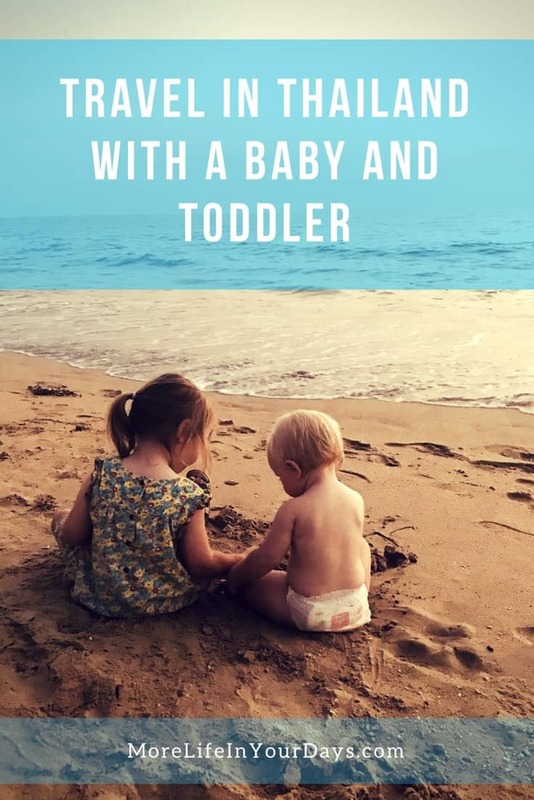 We took a Tot Seat chair harness with us and that proved to be extremely useful when we were in places without highchairs, and we definitely recommend this to anyone travelling with a baby. In the beach areas, it was common to find plenty of inflatable toys, buckets and spades and small play areas at the restaurants. This is great, we don’t always like eating out with the girls as it can be hard to keep them happy while we wait (sometimes we resort to the toddler tablet), but with the play equipment to hand, the girls could play happily while waiting for the food to be prepared (to be fair it was always very quick to arrive). One thing that we liked was that there is so much more acceptance of children in public spaces and restaurants without the glares of disapproval that we sometimes get when we eat out at home. Thailand is not known as the ‘Land of Smiles’ for nothing. The people in Thailand are generally very friendly, outgoing and they love babies and children. You will find that the people you meet are thoughtful and kind and that Thai culture is very accepting of babies and young children. You are likely to get a lot of attention from the locals, especially if you stray even a little bit from the main tourist areas. You may well find that they want to hold and kiss your baby which might feel strange at first but you will soon get used to it and shouldn’t feel worried. Local people and Asian tourists may well want to take photos of your children. We didn’t have a problem with this as long as the girls were happy. But a few times when we crossed paths with busloads of Chinese tourists, they all crowded around us with their cameras out. It felt a bit overbearing so we made a hasty retreat (this was actually in Vietnam). You will find that English is very widely spoken but if you can pick up a few words in Thai, the locals will love it. 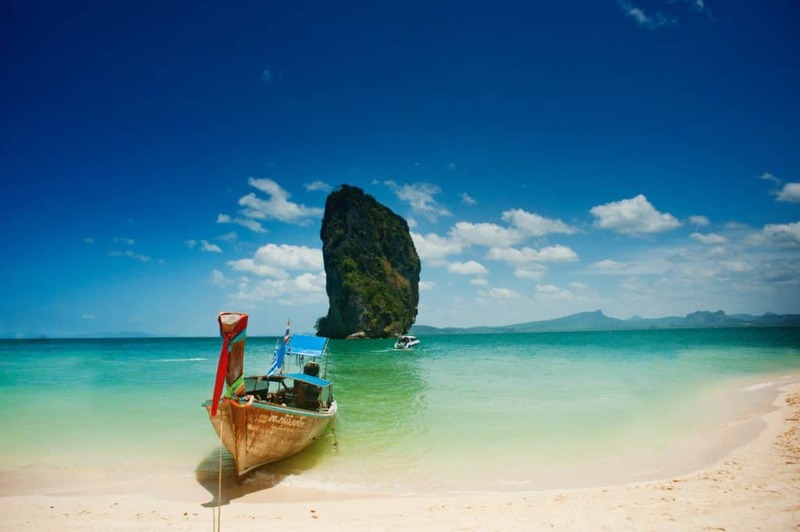 Thailand has a tropical climate with distinct dry and rainy seasons. The effects of these seasons vary around the country but generally, the ‘cool’ and dry season between November and April is considered the best time to visit. This peak season does get busy in certain areas so you may want to consider booking ahead for your accommodation. Thailand is one of the major gateways for flights to South East Asia. This means that you should be able to find a flight to suit your needs and at an affordable price. Bangkok is the major hub, but there are 11 international airports and you may be able to find one that suits your plans better. We flew into Phuket so that we could immediately be by the beach and relax after the long journey, rather than taking on the hectic and slightly crazy Bangkok as our first destination. This involved a quick change in Doha whereas it is possible to fly direct from London to Bangkok, so it is a bit of a trade-off. However, it worked out quicker and cheaper than flying to Bangkok and getting an internal flight to Phuket or any of the island airports. The best way to investigate your options and find a flight to Thailand from your location is to use the Skyscanner website. This will check the available price with all airlines and allows you to filter by various options like flight time, duration, preferred airline etc. It is a great time and money saver and is always our go-to method for booking flights. If you are flying to Thailand, be sure to check out our tips for flying with a baby or flying with a toddler. Travellers from all the major English speaking countries can visit Thailand using the Tourist Visa Exemption Scheme for a maximum of 30 days. If this is enough to cover your trip you do not need to do anything in advance and will simply have your passport stamped on arrival. The official guidance says that you must show evidence of your onward travel within 30 days but we were not asked to provide this. Our return flight was from Vietnam far beyond the 30-day limit and we did not have to provide any further evidence. Given the number of people that travel overland from Thailand to Cambodia, Malaysia or Laos it must be very common not to have any onward travel booked. If you decide to stay longer you can have your exemption extended by another 30 days at an embassy. The charge for this is 1900 baht. It used to be common for people to overstay and pay a fine but a recent announcement stated that this will not be permitted after November 2018. For a stay over 30 days, you must apply for a Tourist Visa that will allow 60 days in the country. This costs £25 so is much cheaper than extending a Visa Exemption. An alternative is to leave the country and return later for a new visa exemption, you will need to spend a couple of days out of the country before returning. There are a whole range of permutations if you need multiple entry visas or longer durations, and the rules change all the time so please check with the Thai Embassy for the latest situation. You will want to give some thought as to how you get around Thailand with your baby. We relied on local transport in the form of taxis, ferries, tuk-tuks and buses. We didn’t take car seats and just relied upon holding our baby in her baby carrier when being driven around. Our eldest absolutely loved the tuk-tuks, they were possibly the highlight of the trip for her! Obviously, a car seat wouldn’t be much use in a tuk-tuk. Depending on your itinerary you may like to consider hiring a car, it is definitely the easiest option for transporting your children and luggage around and the roads are decent. We didn’t take a stroller but saw lots of other parents that had and they were able to push their children along the beach while we relied on our baby carriers. The pavements aren’t up to much in Thailand. 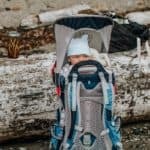 Overall, I don’t feel that strollers are that useful, and they can be a pain to carry around, but it will depend on where you are going and how much travelling you plan to do. Check out our review of some pretty awesome compact strollers that are perfect for travelling. We have now bought our own lifejackets for the kids. Most of the ferries we went on were modern and felt safe, but we spend a lot of time island hopping so it is nice to know that we have a lifejacket that fits them. They would also come in handy for kayaking as you may not get small lifejackets with your kayak rental (they have toddler sizes with the free kayaks at Koh Ngai Resort). One thing that was very important to us on our Thai adventure was to have decent accommodation which was clean and felt secure. Air con was an absolute essential for us so that we could escape the heat in the middle of the day and have somewhere that we could cool off. We prefer to stay in solidly constructed rooms, rather than your classic beach huts. They generally feel safer and more secure and are less prone to intrusions from the local wildlife. The one time we stayed in a bamboo hut on Koh Muk we had a sleepless night after finding mice crawling around the room, in and out of our bags and nibbling through our clothes. This wasn’t really a comfortable environment to bring our baby who was crawling around and putting everything she could find into her mouth. As the trip went on we ended up all sharing 1 bed rather than finding rooms with a second one for our toddler. The beds are generally huge so there was plenty of space for us all. We found that it was better value to find hotels that included a buffet breakfast in the price, rather than slightly cheaper places without breakfast. We originally tried making our own breakfasts by buying supplies from the shops but it worked out fairly expensive for a pretty basic breakfast. Buying breakfast in restaurants was also fairly expensive and the portions were not that large. The hotel buffet breakfasts allowed us to all eat affordably and it was generally very varied with eggs, rice and noodle dishes, fresh fruit, cereal and all sorts of yummy things. Many hotels are very family friendly and provide free use of toys, play areas, and swimming pools. If you are travelling to Thailand with a baby or toddler (or both) we highly recommend that you spend a decent amount of time at the beach. Thailand had some of the most fantastic beaches in the world and many of them are very family friendly. From the bustle of Phuket to deserted islands (and everything in between), you will find a place that suits your needs and your family. Here are some of our favourite places in Thailand. We think that Koh Lanta is a perfect island for families, it is so well set up with family-friendly hotels and restaurants and has all the facilities you might need for a wonderful stay. Lanta Resort – We loved our stay at the Lanta Resort, there are a couple of great swimming pools, a playground, an amazing buffet breakfast and they even drive you around in golf buggies! Banana Beach Resort – which is very family orientated and has a great playground with tree house, slide and climbing net looking out over the beach. They have loads of other kids toys to play with and a nice swimming pool. It is probably one of the best places to stay if you have young kids. Koh Lanta can easily be combined with nearby Koh Ngai which is just the most perfect tropical island and one of our favourite places ever. 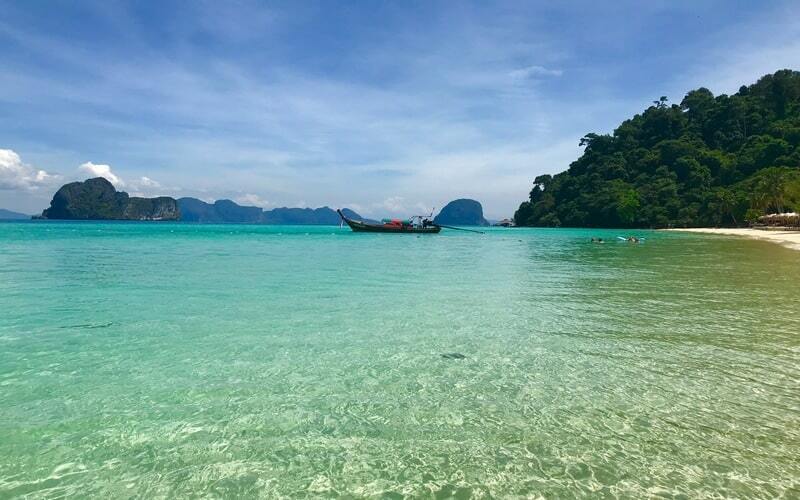 We absolutely love it here as you can tell by reading our guide to Koh Ngai. Our favourite place to stay on the island is Koh Hai Fantasy Resort which we think is the best place to stay on Koh Ngai for families. We have stayed here on several occasions and love it. The whole place is really geared up for families with a small play area right by the most perfect beach with views that are out of this world. It is especially good here if you are travelling with babies and toddlers since kids under 4 can stay for free and they even do free kids food for under 3’s (don’t expect large portions or healthy options but it makes a difference). We don’t love Phuket as much as the smaller islands, but it is worth considering if you like resort hotels with lots of facilities and activities. It is a big island and there is sure to be a beach that suits your style. We do recommend staying here for a few nights if you are flying into Phuket International Airport. Right by the airport is Naiyang Beach which is a lovely place to relax before heading off to other islands. We stayed at Dewa Resort Phuket which is a great place to relax after your flight with 2 great swimming pools, a kids playroom and the beach just over the road. 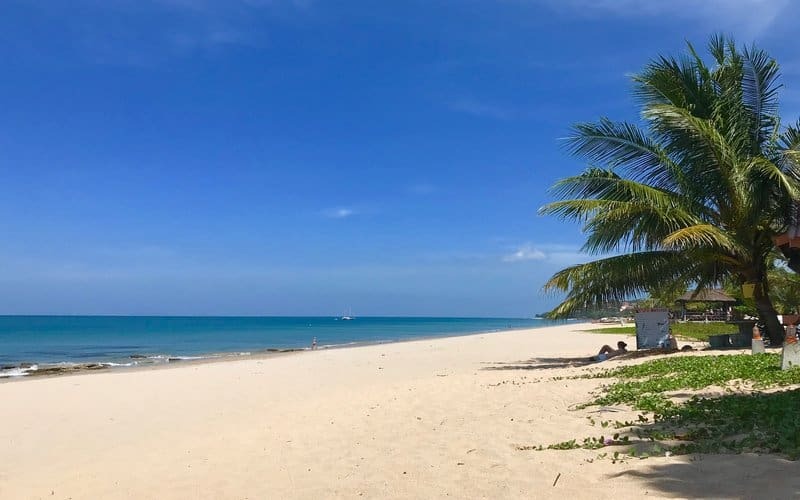 We have written a post on the best beaches in Thailand for families, which is a great place to continue your research, there are so many good beaches to choose from! Away from the beach, there are loads of great places to visit where you can soak up the culture of this great country. Here is a brief overview of some of the most popular places for families to visit. The noisy, vibrant and busy capital city of Bangkok is an assault on the senses and a truly remarkable city to visit. From the Grand Palace and Buddhist temples to street markets serving up unusual delicacies, the city is everything that you expect from an Eastern metropolis. This includes the traffic and pollution problems as well as the more exciting prospect of seeing an elephant walking up the street. The pleasant climate and historic atmosphere of the northern city of Chang Mai make it a popular base for tourists, expats and digital nomads. Generally cooler than the south the town is surrounded by lush mountains home to temples, caves and waterfalls. We absolutely loved our stay at Lanna Dusita Riverside Boutique Resort, it is a bit out of town which we think is a big advantage (they run a free minibus into town, about 80 bhat back using Grab). The whole place is really nicely designed with lovely rooms, great breakfast and really friendly staff. Close to the border with Laos and Myanmar, Chiang Rai retains the pleasant atmosphere of a sleepy provincial town. It doesn’t have to cope with the numbers of tourists that descend on Chiang Mai but as one of the oldest settlements in Thailand the town has its fair share of temples and a strong association with the ancient Lanna Kingdom. A great place to relax for a few easy days. An easy train ride from Bangkok will take you to this lovely riverside retreat that is famed for the bridge over the River Kwai and is home to several WWII memorials. Grab a nice hotel by the river and relax. When you are looking for a bit more action you can head to the nearby waterfalls and caves of the Erawan National Park. Once the ancient capital of Thailand, Sukothai is now how to an impressive set of ruins and is a World Heritage site. Spread out over a large area you will have space to enjoy the ruins on your own and your little ones will enjoy clambering up the step and exploring the nooks and crannies. The floating markets at Damnoen Saduak, and (less touristy and more authentic) Amphawa are a wonderfully exotic way to do your grocery shopping. Toddlers will delight and the sights and sounds as you float down the river in scenes that seem to be from a bygone age (apart from all the camera-wielding tourists of course). 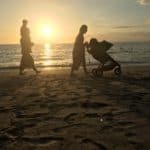 Travelling with a Baby and Toddler in Thailand – What was Difficult? Our time in South East Asia with our baby and toddler were amazing, one of the best things that I have ever done. But it wasn’t all roses and there were challenges. The reality of being away with your little ones is that you are likely to worry more than you would do in your home environment. Before we left our girls were generally healthy but had suffered from constant colds over the winter months. In Thailand, they were happy, healthy girls virtually the whole time. But we did have a couple of incidents that were a cause for concern. Our baby bashing her head on numerous occasions. One of which looked pretty dramatic with a bitten lip. Our toddler complaining all afternoon that her arm didn’t work and that she couldn’t lift it. – It very suddenly went back to normal. We have no idea what had happened. Our baby screaming uncontrollably all evening for unknown reasons – Teething? Most things can be brushed off as teething when you are at home. But when you are on a remote island all sorts of concerns race through your brain. When things like this happen you do worry more than you would at home. You panic slightly that something serious could be wrong and are aware of the fact that you don’t really know where to go to get medical help or whether there will be anyone there that speaks English. This is something that you have to be prepared for if you are travelling with young children. Aside from specific health concerns, the biggest issue was that our 9-month old wanted to pick up and eat everything she saw. Over the course of our trip, she seemed intent on eating a whole beach worth of sand, liked to pop pebbles and shells in her mouth and ate one or two unusual looking beetles. It meant that we had to remain vigilant and keep an eye on her a bit more than at home where you can baby proof the environment more easily. We loved the kid’s clubs at the Koh Lanta Resort and Dewa Phuket as they were safe, clean and cool spaces that the kids could play in and we could relax. Away from the beach, it was also difficult to have a very active crawler who liked to explore everywhere. Getting dirty and dusty was inevitable and we just had to accept that she would look like a Dickensian street urchin at times. None of these were big issues and didn’t spoil our enjoyment of the trip but they are things to be aware of and prepare for when booking your own trip. Again, staying by the beach proved easier than being in the towns and cities that we visited in Thailand, Cambodia and Vietnam. 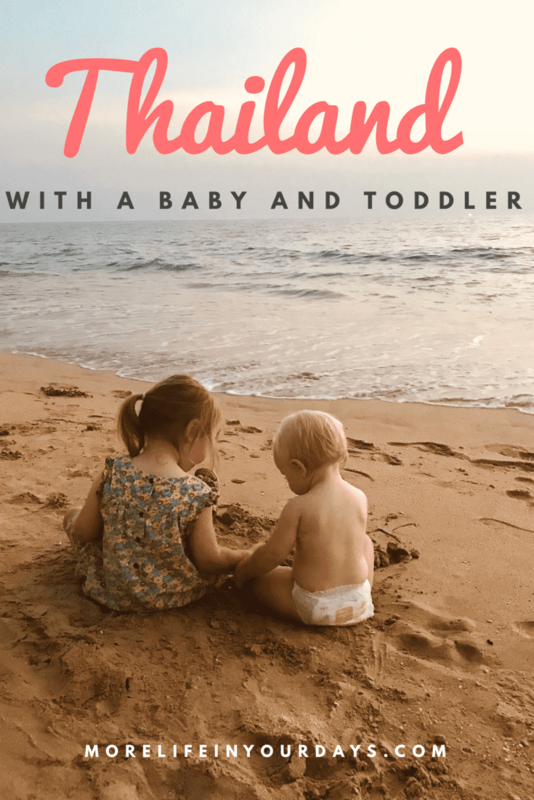 Should You Travel in Thailand with a Baby or Toddler? I am tempted to answer this with a big fat yes, but only you can answer this for your family. I can tell you that we had an amazing time with memories that will stay with us forever. Spending quality time together as a family in beautiful surroundings can’t be beaten, and they were special times where we all grew together as a family. I feel that our eldest really developed as a worldly-wise little 3-year-old who was able to take everything in her stride. She learned so much and saw so many things that she would never have experienced otherwise. There were a few hard moments and yes, it is technically easier to raise your baby at home. But it’s just not as much fun! If you are looking for somewhere with great weather, amazing beaches and friendly locals then I think Thailand is hard to beat. It has all the tourist infrastructure that you need to make your trip an easy one, with facilities and healthcare that are good enough to (mostly) take the worry out of your trip. Once you get there you will find that there are loads of families doing the same as you. Thailand is a very popular destination for Swedish and German families so there will be lots of other young children and babies around. 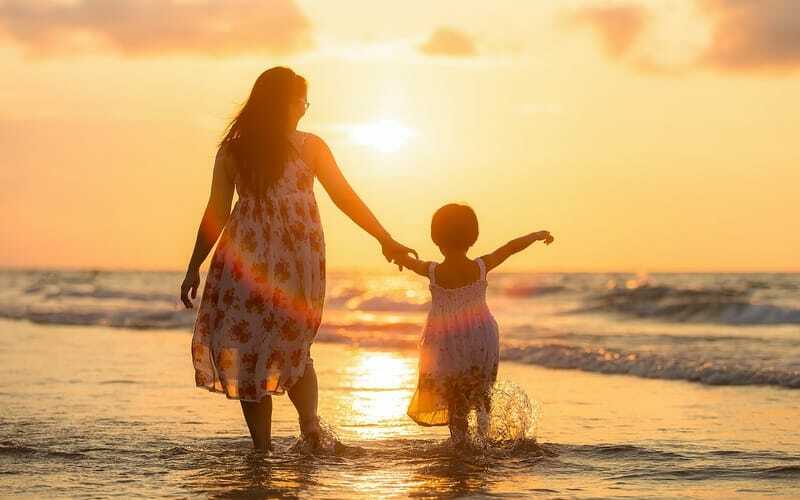 You will quickly forget how unusual everyone at home thought it was and will be comforted to know that travelling in Thailand with a baby or toddler is actually quite a common thing for people to do. I hope that you have enjoyed this post and that we have inspired you to travel with your baby. If you are ready to book please use the links below (we get a tiny commission that helps us to run this blog – you pay the same as usual). Please let us know about your family adventures in the comments section. Are you going to Thailand? Or can you recommend another great destination for young families? Thai words in this article. Each parent should take care of their baby and kids when traveling. Thank you so much. Yeah, I have to be honest Thai is very hard and we were only able to pick up a couple of words, and I am not sure we even pronounced those correctly. We will try and learn a bit more before we go back! So for sure Thailand is on my bucket list, and my husband feels the same way. I don’t know what it is about the thought of visiting Thailand, but both he and I get super excited when we explore sites like yours with information on trips to Thailand. Wow, I didn’t realize we would have to bring our daughter to the doctor to let him know we are going to Thailand when we are ready to go. I didn’t even think of that, so I’m so grateful you mentioned it in your post. Good to know – thanks so much! Thank you! I I am sure that you and your family will have a great time in Thailand ! Be sure to check out our other posts for some inspiration on where to go! Oh my gosh, this is so comprehensive! I never would’ve considered the wildlife thing when choosing a room… but mice?! Eeeeek! Thanks for the tip! No problem, glad you enjoyed the post! I really don’t like mice! it is definitely not what you want when you have a baby crawling around! Apart from that place everywhere was great, there is some lovely accommodation available in Thailand. it is really courageous by you to take the baby on holiday trip especially in Thailand. Your guide is very helpful on new families who are a little bit in anxious on regard to take the kid with them or not. I agree that health insurance is a must when you travel abroad or overseas because we can not foresee all what happens next. Thank you! There were times when we questioned whether we were doing the right thing but it was one of the best things we have ever done. By sharing posts like this we hope to inspire other families with the confidence to take similarly adventurous trips with their little ones. Hello Chris. I guess you are enjoying your trip around. 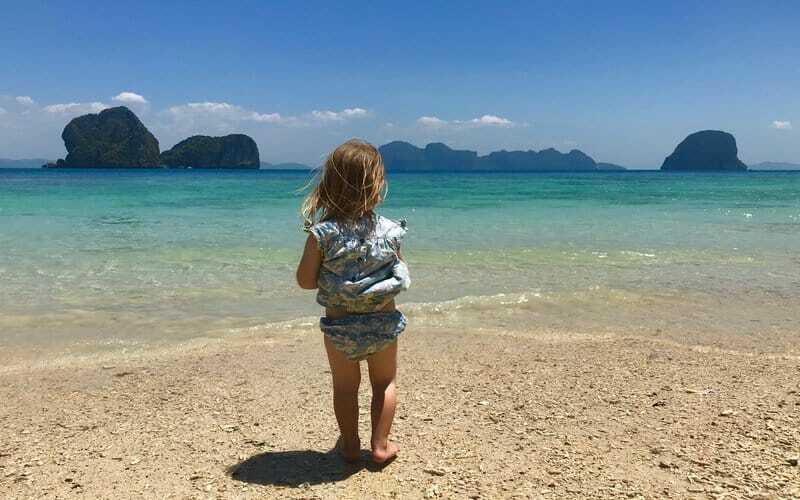 Thank you for sharing this beautiful article about travel in Thailand with a Baby and Toddler. This article is so comprehensive. It contains probably every single detail I need to know about travel to Thailand with baby and toddler. It was fun reading through. As I’ve always loved to travel the world blogging, how I wish I had made Thailand my first place of visit. It’s amazing to know that a place like Thailand still exists in the world whereby visitors from around the world and from all walks of life are much welcome. 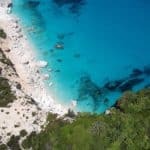 Being a suitable place to consider for a family holiday and having some of the most beautiful beaches in the world, it’s worth visiting on vacation days. I want to believe that Thailand is worth a visit for its excellent healthcare facilities, though one has to be medically covered and insured. Wow, I really enjoyed reading your detailed description of travel in Thailand with a toddler and baby. I have to admit it sounds daunting at first. I cannot really imagine doing that. That is funny since I grew up in the Alaskan bush where my parents had to worry about bears, drowning and frostbite. I had a ball growing up there with a dog team, huge gardens and a lake, greenhouses, chickens and nature everywhere. Some people wondered how my parents managed that with no hospital for 150 miles, no stores, no power except for that produced by our solar panels or generator. Therefore, I am sure if you dive in and take a trip like yours to Thailand and that sort of lifestyle is what you and your kids are used to, then it would not seem any more strange for your family than living in the mountains was for mine. It is all a matter of mindset and perception in some ways. What seemed crazy to some people was heaven on Earth for me since I could spend all my time with dogs, birds and butterflies. I am sure the heat in Thailand would be an issue for me since I do not do well in very hot environments. I would be taking your advice and staying in a good air conditioned room and finding the cooler months and locations in Thailand (or those with a breeze) to visit. It must have made your trip much easier to be surrounded by the accepting attitude toward children you describe. I am sure it was a great trip for your toddler to remember! 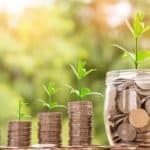 Great post and useful info. Whenever we would go to a country outside of Europe, if it is Thailand or any other country, we always go to a doctor first to ask about diseases, vaccines and so. We know that every country has excellent facilities but you need to know they are expensive, certainly when known you’re a tourist. We don’t have a bebe yet but we sure will look even more around and we will even be cautious about the places. Anyway, thanks for sharing it because a lot of people don’t think about it. Thanks. Visiting the doctor before you go is a great idea but if you have good travel insurance you shouldn’t need to worry about the cost of medical care whilst you are away. For me as someone, who’s never been to Thailand, but would love to visit it soon enough, this was the perfect guide. Especially since me and my wife we have a baby that would without doubt travel along with us. I absolutely can’t wait for the stunning scenery of Thailand. Really looking forward to going. Thank you for all the valuable insights and putting the article together. I sincerely do appreciate it. So glad to hear that our post covered everything that you wanted to know!! That was what we set out to achive. Enjoy your trip to Thailand!! OMG! Thanks a lot Chris for sharing such an informative page about Travel in Thailand with Baby. I have read your valuable page and gotten much information. I have learned a lot from you that I did not know before and feel more prepared for travel now. I hope all your information will help me and my elder sister’s daughter. Keep it up………..
Hi, I am glad that you enjoyed this post and found it useful. Good luck on your travels, I am sure you will have a great time!! Thanks for sharing this helpful information. You are inspiring me to travel with kids in Thailand. I love traveling to different places but I was a bit worried about travelling with little kids. I got a lot of really great information from your blog which i have saved for future reference. Thanks, I so glad that you found this post helpful! We aim to inspire people to keep travelling even when they have got kids so I hope that you go for it. Thailand is actually really easy to travel with children and I am sure that they (and you) will love it!